Take full responsibility for every aspect of your music production education and career, right now. You're in business for yourself from the get-go and this won't change as long as you're in music. You need to find out what you need to learn and do and then learn and do it. Repeat this over and over again. It's an ongoing process throughout your career, one you can always improve on. Opportunities will come and so will breaks. You have to however be ready and prepared to pursue these opportunities or they will pass you by. So, focus on your craft, hone your studio chops and get the work done. You have no time to waste if your aim is to become a great music producer. Music production is your craft and should of course be your top priority as a music producer. The areas of knowledge you need to cover and the practice needed to develop your skills reach far and wide. You of course don't need to know everything there is to know, which is an impossible feat, as you can imagine. How deep you go in each area will depend on your preferences, strengths and weaknesses. Music production, as with most things, follows the Pareto Principle which predicts that 20% of your knowledge and activities will create 80% of the wanted results. The trick is to find the 20% and focus on that. The production process: Conception / Writing / Composing / Recording / Tracking / Arranging / Editing / Mixing and Mastering. Music production exercises: Listening to music, ear training, song and mix analysis. Basic music theory: Time signatures, beats & bars, notes, scales, intervals, chords, chord progressions. Basic arrangement theory: Song structures, sections, lyrics and melody. Basic production theory: Audio, MIDI, synth programming, equalization, reverb, compression, gating, delay, phasing, distortion, editing, programming, mixing. Music studio software: Digital audio workstations and plug-ins. Music studio equipment: Monitors, outboard gear, microphones, pre-amps and DI boxes, audio-interfaces and MIDI controllers. "What's the best way to learn music production?" Check out this post on how to start learning music production in 5 steps and the best ways to learn the skills you need to become an expert producer. My suggestion here is to get a little studio setup should you not have one already. This can be done for very little money and doesn't need to be stuffed with high-end gear and tons of studio toys to start off with. You can always improve your setup as you move along and your productions improve. So, get your basic studio together and take some time to study the manuals of your gear and software. Open your DAW and play around to learn how to do the various things you need to do. Work with audio, work with MIDI, learn to program your synths for various instruments and how to use samplers, play around with effects and other plugins, make some drum loops. You also want to learn about writing music, recording music, mixing music and the production process with the help of tutorial sites, articles and tips you'll find on the Web. You can visit online producer forums to ask questions about specific topics you want help with. Next, study some basic music theory and production theory when you're not at play in your DAW. You want to build your skill level to the point where you can create a basic 8 to 16 bar loop and make it sound decent. Then, study popular song arrangements and develop your first fully-arranged track. Copy the arrangement of other tracks you like to get a feel for what works and what doesn't. Keep doing this until you have a well-arranged track. Then, work on your mix-down knowledge and skills to finalize the track for mastering. Study the mixing theory and tools and apply what you learn to your sessions. The goal is to get to your first finished track. Once you are able to finish a few decent tracks you've gone from clueless to competent. Continue to finish tracks and improve with each track you make. Do this long enough and in the right way and you will become masterful at music production.You have many great resources available to help you learn all about production without the need to go into debt. A. Clueless - "What's this button do?" - The DAW scares you, the only bars you know about are the ones that serve up liquor, music theory = hieroglyphics and frustration is your middle name. B. Competent - "Like my track bro?" - You're able to finish decent tracks on a consistent basis, you've got the basic music and production theory and practice down, you're starting to have some fun. - "I'd like to thank my parents, my fans my team and Vishnu for this award..." You get mad respect for your productions and smoke cigars with other tux-wearing celebrities. Well, at least the first part! The music production craft is your own Mount Everest to climb. Life is full of obligations, demands for your time and surprises. The road you need to travel to get great at music production is long. How you respond to this challenge is what will make the difference between success and failure. You must do everything in your power to move from a clueless to a competent to a masterful music producer or accept that it's just a hobby reserved for your spare time. ... so start now and keep at it. Stay ruthless and relentless! These 10 music production techniques and strategies will help you learn the craft faster. These are mostly fundamentals that make the difference between amateur and professional music producers. I suggest you check out this popular post if you've just started your music production journey. It's a nice mix of practical and psychological tips I wish I knew when I started out with music production and audio engineering. Sticking with the 11 tips theme, and provided you're into home recording, I recommend these home recording tips next. You'll learn how to maximize your chances of getting consistent great takes in a smaller home studio environment. It's a good read even if you're planning on doing just vocals and the occasional guitar track. The DAW sits front and center in most music production setups these days. Mastering your DAW-ninja-skills is therefore an essential step in the road to music producer greatness. This post looks at the best way to go about learning the ins and outs of your chosen music production software host. Discover the 4 main tools you'll use to position sounds in your stereo field while you mix. Can you guess what they are before you read the post? Mix with Headphones? 3 Reasons Not To! You know those charts with all the different frequency ranges for various instruments spread out like a rainbow of sweet sound? Useless! OK, it's slightly interesting when you first start out to conceptualize a frequency range. That doesn't translate into better EQ skills in practice. Try the approach I mention in this post instead if you want a EQ strategy you can put into practice IRL in your home studio. Don't let the quest for the perfect mix kill your music production creativity. Perfectionism in the studio is fine unless it hides something more sinister. In this post I take a look at how there's a thin line between perfectionism and procrastination for music producers. OK, so I went a bit extra on this post. Can you blame me? We're talking songwriting here after all! This deep dive takes a look at various aspects of the process of songwriting and also has some tools, resources and strategies for the songwriter in you. If you're going to write songs, you may as well get pro about it. Sharpen your songwriting skills with these 33 tips you can put into action right away. Hone your songwriting craft right now! Martial artists do it, basketball players do it, singers do it. In short, professionals train. Your music production ability depends in large part in your ability to hear. This makes ear training a good thing. 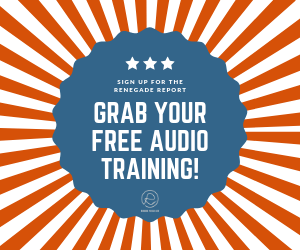 Find our more about how you can train your ears like an audio engineer and producer in this post. The ability to spot and use intervals is a powerful tool in the composition stage of the music production process. A bit of interval ear training every now and then a soon you'll start to notice it's helpful effects when you write music. Check out this post to learn more about interval ear training for producers. This is an unbiased review I did. OK, I like the software for ear training. It's fun and effective at the same damn time! Does that make biased! I think not! Read the review and find out more about how you can train your ears in game-like way right now. If you're like me, you'll often work with drum samples. These 2 tips will keep you sane and productive when it comes to drums, especially if you're into electronic music production.